N Peethambara Kurup member of Parliament(MP) profile and biography is given here. N. Peethambara Kurup is a Political Activist, a Social Worker and a Trade Union Leader from the capital city of Kerala. He was the President of Thiruvananthapuram District Congress Committee and Vice-President of Kerala Pradesh Congress Committee. Currently, he is a Member of Parliament, representing Kollam Lokh Sabha Constituency. This article throws some light on the life and works of this great leader. 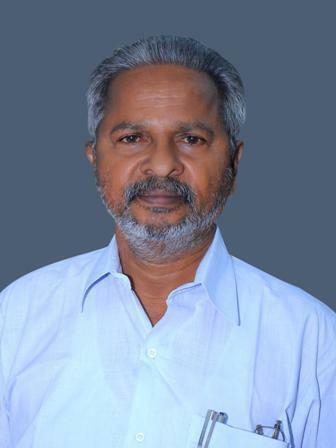 N. Peethambara Kurup is a seasoned Politician from Thiruvananthapuram district of Kerala. He represents Kollam Lokh Sabha constituency in the Parliament. He is an active member of Indian National Congress (INC). Through his hard work and dedication, he rose to the position of Vice President of Kerala Pradesh Congress Committee (KPCC). Initially, he was the teacher at a local school in Thiruvananthapuram. Due to his interest in politics, he resigned his job as a teacher and entered into the politics. Known to be an orator, he has written a number of books in Malayalam language. N. Peethambara Kurup was born on May 24, 1942 in a small village hamlet called Navaikulam in the capital city of Kerala. His parents were P.N. Narayana Kurup and L. Bhavani Amma. He began his formal education when he was put in a local school near his place of birth. Since his childhood, he has been able to observe things around him very well. This was noticed by his teachers at this school for the first time. He was studious and tried to pick up the lessons taught in the class very well. Once he completed the formal education wherein he learned the basics of mother tongue, English language and basic arithmetic like addition and subtraction, he was put in a higher secondary school for continuing his education. He remained with this school and continued his education up to his 10th class. During this period of his life, he slowly started participating in the student politics, especially after the secondary school level of education. His interest in studies slowly reduced and devoted more time for the student welfare activities undertaken by the political parties through their students' wings. However, after some time, he realized his folly and began devoting equal time to both his academics and political activities. After the careful management of his time, he was able to do justice to academics and his political career he was trying to build up. Hence, he could get nice marks and grades for his SSLC examinations. Once he successfully completed his SSLC course, he enrolled himself for a pre-degree course at a local junior college. However, he chose literature as the area of specialization for the course, as he was trying to build up a career in state politics with the Indian National Congress. However, this enabled him to learn more about the history of state and the evolution of Malayalam as a vernacular language from the old Dravidian language. During that time, he made full use of the college library and assimilated the knowledge about the state. This enabled him to talk with his compatriots better and effectively. The reading habit helped him score good marks and grades in the pre-degree examinations. On successfully completing the pre-degree course, he joined a degree college in the capital city to take up a course in Economics. Even while doing his degree course, he was active in politics. He was able to develop contacts with various people who had a say in the party affairs. By the time he passed out of the degree course, he was seen amongst the top ranking politicians in the congress political establishments in the state. After the degree, he was active in politics for some time. Later, he turned his attention towards a professional course that would in later years help him to survive in the field of politics. The course chosen by him was LLB course of Kerala Law Academy in the Thiruvananthapuram district of Kerala. He grew more confident as a politician when he was with Kerala Law Academy. There, he was able to meet people from all walks of life and learned about the way these people interact with one another. After three years of association with Kerala Law Academy, he successfully passed out the LLB course and enrolled himself as an advocate. Since he was busy with politics, he did not think of a marriage. While working with different political parties, N. Peethambara Kurup began to ideologically more align with the Kerala Students Union (KSU), the students' wing of Indian National Congress. As a result, he became its full time member. Moreover, he was mentored by a few of the senior student leaders in KSU. They gave him small tasks of organizing the students for some student movement or the other. During those occasions, his ability to give a nice speech in convincing manner was noticed by the leaders in the party. So, he was put in a more senior position in the party to help them organize various events against the ruling dispensation at that point in time. Through those political struggles, Kerala Students Union was trying to fight against the anti-student provisions in the newly devised education policy of the government. The young Kurup was very much against such provisions in the newly rolled out education policy. So, he lent his strongest ever voice for the cause and organized huge meetings, telling the participants the party's version of things. Through his hard work, he endeared the senior members of the party. This helped him to rise through the ranks and files of the student organization affiliated to the Congress party, the grand old party in the country. He also showcased his ability to attract the audience by giving a powerful speech to them. After providing commendable service at the student party level, N. Peethambara Kurup was given a chance to work in the Indian Youth Congress, the youth wing of Indian National Congress. During the time of his association with the Indian Youth Congress, he rose through the hierarchy of the youth wing very fast due to his oratory, efficient people management and hard work. His conduct in certain political movements of the state revealed the potential of a leader in him. This cue was picked up by the senior managers in the state unit of the Congress party. So, he was brought to the Kerala Pradesh Congress Committee (KPCC) as a privileged member. As a privileged member, he was given the task of looking after the Thrivananthapuram and Kollam districts. He was given the task of working closely with the two Pradesh Congress Committees representing these two districts. His association with two Pradesh Congress Committees resulted in the thorough revamping of the official establishments in them. This again proved his ability to manage the organization well. This helped him to get the post of President in Thiruvananthapuram District Congress Committee. He held this post for a reasonable period of time. Later, he was again brought back to the KPCC to utilize his abilities. He entered into the good books of the people at KPCC when he worked for them. The mentors in the state unit of the Congress party believed in him and made him its Vice-President to empower him with some power to make different Pradesh Congress Committees across the state toe in one line. He worked in this capacity for some more time till he was given a party ticket to contest general elections representing the Kollam Lokh Sabha Constituency. N. Peethambara Kurup was given the party ticket to contest general election in the year 2009. His candidature was chosen looking at his credentials as a leader who worked with the masses. Due to his close association with Trivandrum and Kollam Pradesh Congress Committees, he was able to generate a lot of support from the rank and file of the people from those two districts. This ensured him a cake walk when he contested the general election from Kollam Lokh Sabha Constituency. He won the election for that constituency with huge margins, defeating the nearest CPI (M) candidate. In fact he was made the member of a standing committee on Chemicals and Fertilizers. As an honorable member, he took part in the deliberations of the parliament and tried to raise the issues concerning the people of this constituency. As an honorable Member of Parliament, he visited all Gulf Countries to mitigate the issues concerning the overseas Indians working in these countries. Peethambara Kurup was the Chairman of Horticulture Development Corporation from 1991 to 1993. He was the Director of Oil Palm India Limited from 1982 to 1987. Apart from these, he was a member of various trade union groups that are affiliated to the Congress committee. N. Peethambara Kurup is interested in reading books. His affinity for the books started when he was the child. He read books on many topics. He has also written two books in Malayalam. They are Sahithyadhara and Kiranangal. The former is a collection of essay in Malayalam and the latter is a social drama. N. Peethambara Kurup is a seasoned politician and social worker from Kerala. He came to the field of politics when he was a school-going student. Through various political struggles, he showcased his ability as a leader who can deliver effective speech and organize large rallies for a cause. At the organizational level, he proved his ability to administer the office set up and streamline its processes. This helped him to become a privileged member of both district level and state level Pradesh Congress Committees. He was made the President of Thriuvananthapuram District Congress Committee and Vice-President of Kerala Pradesh Congress Committee. Later, he became the member of the 15th Lokh Sabha, representing Kollam Constituency.